Inspired by Bill Gates & Warren Buffett’s Giving Pledge, the Give Back Hollywood Foundation has brought together some of the biggest names in music, fashion, sports and entertainment to demonstrate their commitment to philanthropy with the launch of the “Hollywood Pledge”. 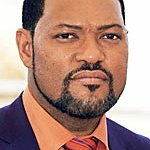 Stars who have already taken the Pledge include Laurence Fishburne, Richard Gere, Dwight Howard, Hugh Jackman, Jewel, Kim Kardashian, Ricky Martin, Kelly Osbourne, Rachel Zoe, Jordin Sparks, Denzel Washington, and many others. 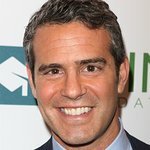 Celebrities take the Hollywood Pledge through the HollywoodPledge.com website and list the charity or charities they support. Fans are also encouraged to give back, whether through monetary donations, volunteer work, or just getting involved in their communities to make a difference. The ABC Television Network, The Hollywood Reporter and the Screen Actors Guild Foundation have signed on as official partners of the Hollywood Pledge. All three of these organizations have pro-social initiatives, ABC’s “A Better Community,” The Hollywood Reporter’s July issue focusing on “Philanthropy and Hollywood,” and the Screen Actors Guild Foundation’s Children’s Literacy Initiative. Additional sponsors of the Pledge include JetBlue, Fashion Forms, Glam Rock Watches, Coca-Cola, L’Anza Healing Haircare, LePosh Salon, Niche Your Home, Coffee Bean, Honfoto and Fig & Olive. The Give Back Hollywood Foundation will host an exclusive VIP Hollywood Pledge Launch Party and Beauty Retreat at a private mansion in Beverly Hills on Saturday, June 4th from 11:00 a.m. to 4:00 p.m. Guests will be introduced to the Pledge and given the opportunity to use social media to support various charities including DoSomething.org, Cancer Research Institute, Can-Do.org, the Screen Actors Guild Foundation and Children's Miracle Network Hospitals (which will be launching its 100 Million Miracles Campaign at the event). Guests will also be treated to beauty services such as massages, manicures, pedicures and hairstyling, along with a sponsored open bar featuring VNC Cocktails and catered culinary delights from some of Hollywood’s favorite restaurants and Chef Micah Killough. Buddha Bar-style grooves by DJ Josh LeCash and actress Taryn Manning as well as a live musical performance by American Idol finalist Blake Lewis are among the highlights of this one-of-a-kind event.